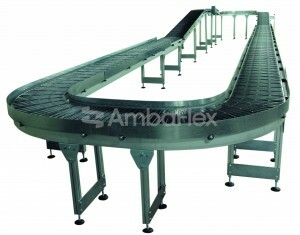 Known as an innovative company in the material-handling field, AmbaFlex Specialty Conveyors are installed worldwide. AmbaVeyor represents an economical and low cost solution for conveying products from A to B with a minimum of transfers. Integrates curves, inclines and straight segments. 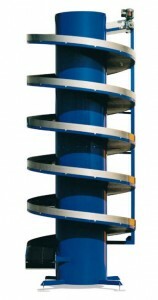 Can be integrated into conveyor systems from Muller Martini Wohlenberg and Kolbus. 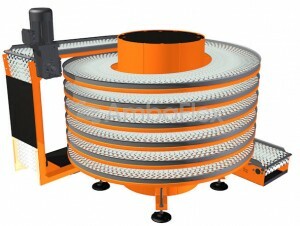 The AmbaFlex Cooling Tower is designed for cooling of books and magazines in an efficient way. The revolutionary Cooling Tower is applied by the leading bookbinding machine manufacturers and recognised as the standard for industry. The perfect solution for moving products from one floor to another.